Very Good. 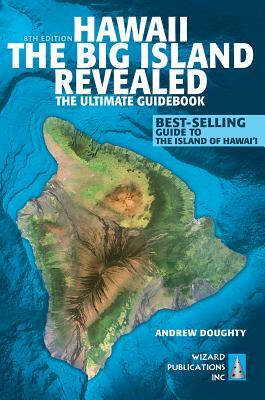 Hawaii the Big Island Revealed: The Ultimate Guidebook by Doughty III, Andrew, 2013-12-15. Trade paperback (US). Sewn binding. Contains: Illustrations, color, Maps. I really like this book. There are maps with mile markers so you know exactly where a location they are talking about is actually located. It is an in-depth guide written with some good humor and very practical. I read it cover to cover. They also have a website which I have visited. The only thing missing is a list of realistically priced accommodations. In both the book and the website the large resorts and condos are described and the smaller, less touristy places are left out. I still highly recommend this book and looked for accommodations elsewhere (TripAdvisor, HomeAway etc). Not only an excellent resourse for the best places to go; it includes practical recomendations and island history as well. The maps, phone numbers, and ratings were invaluable. Be sure to check their website for the most current updates. This is your Hawaii, Big Island bible. It's the only book you'll need. It is very helpful finding out the few things to avoid in paradise. Also great details on where to park. I changed my condo rental to a much nicer area and avoided the unadvertised lowlights of where I had planned to stay at.